Free (5 addresses/day) to public. Unlimited access to members.Click to see difference.. 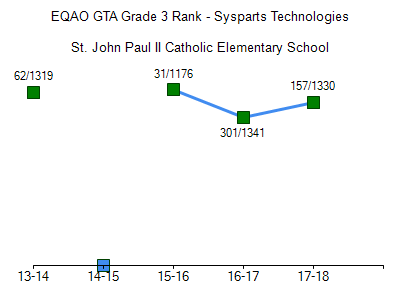 The data we use to develop our school rankings are from the Education Quality and Accountability Office (EQAO) web site at http://www.eqao.com.The data used or reported in this publication were provided by the Ontario Ministry of Education. 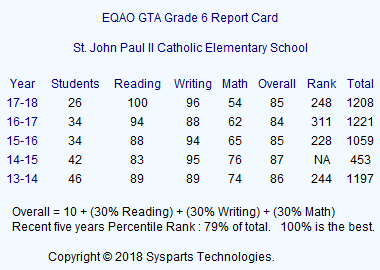 The overall rating/score is driven by EQAO which is about academic only. 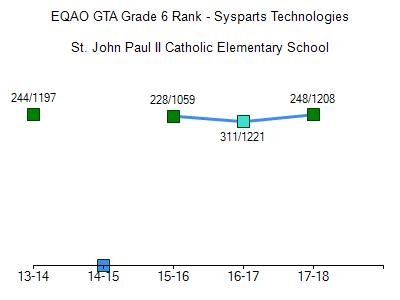 Some important aspects that create a good learning environment are not be included. 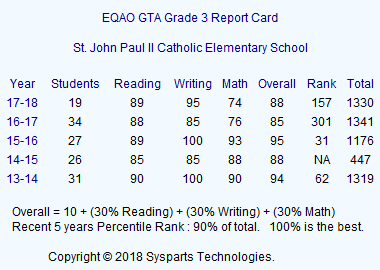 You may want to know other factors and the best way is by visiting the school and talking to teachers, students and parents.